1. Which ion is most easily reduced? 2. 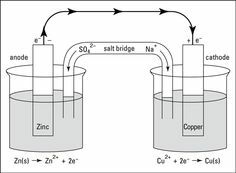 Which metal is most easily oxidized? 3. The copper and aluminium electrodes are connected to form a battery. a) Which is the anode? c) What will be the battery voltage? d) Write a balanced net ionic equation for the reaction that takes place. There is electrode potential in adding electrons to that particular substance. The potential of a cell (voltage) consisting of the electrode in question acting as a cathode and the standard hydrogen electrode acting as an anode. You find this by using the equation: Ecell = Ecathode - Eanode. No, all of them were in the wrong spot except for magnesium. They should be the same value of voltage, and they came out varying. Ag and Cu were close, Pb was far, and Fr and Mg were very far. This shows an experimental error. 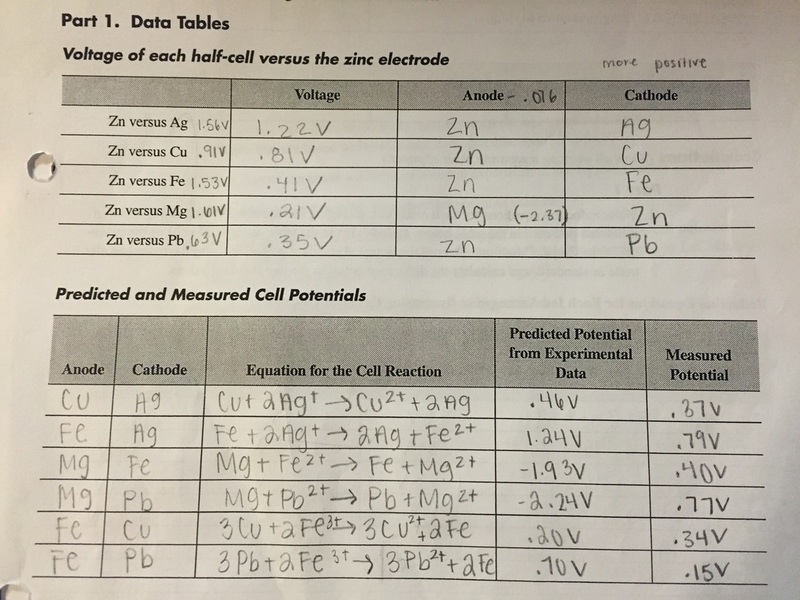 Experimentally, we compared the electrode Zn instead of H+ as represented on the E value that's published. Changing the molarity caused the copper to decreased since we made the molarity smaller, which is why it agrees with the principle. The calculated and measured values were different. We were not required to do part 3.